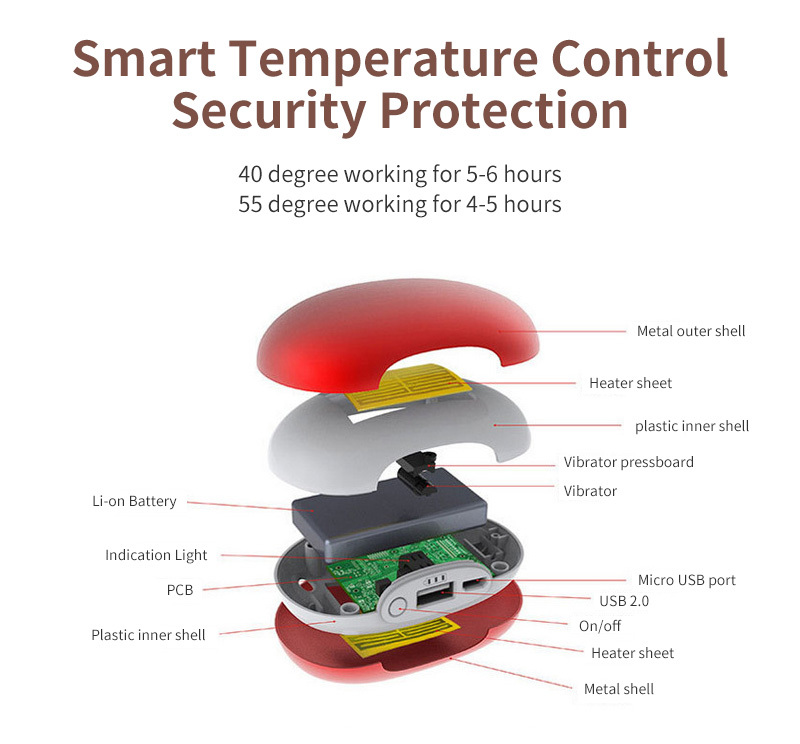 Handy carrying anywhere with any pocket or bag while sporting,fishing, hiking, camping, skiing, travel or play sports outdoors. 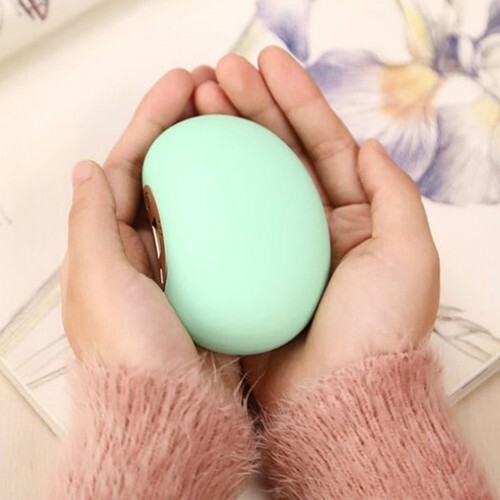 Also a perfect reusable hand warmer solution in cold weather . 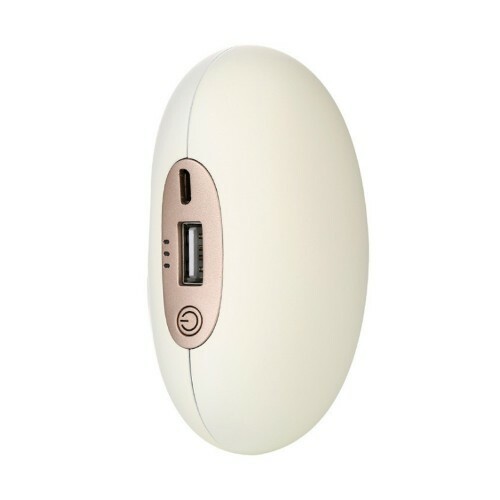 3600mAh capacity can give a full charge to mainstream digital devices. 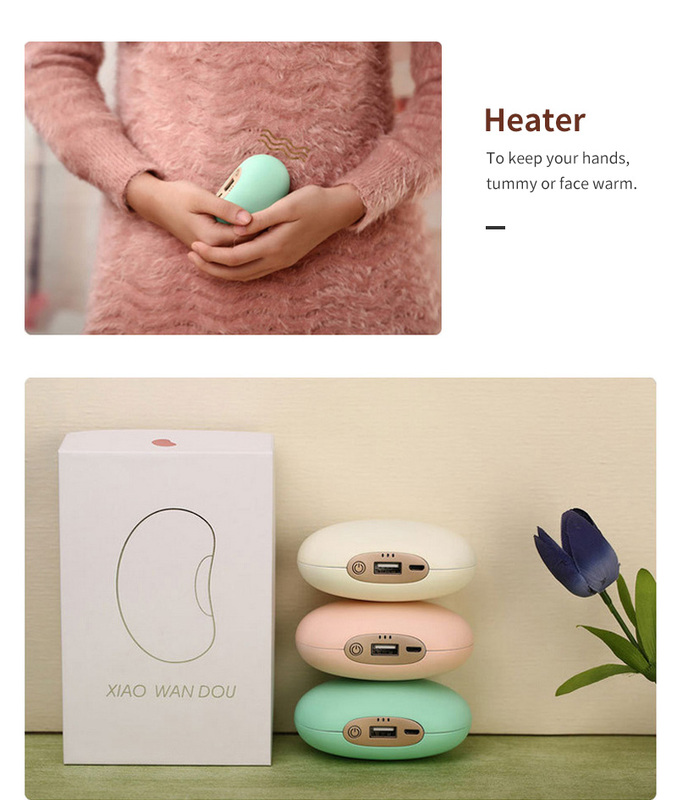 It's not only a little handwarmer but also a emergency backup battery. 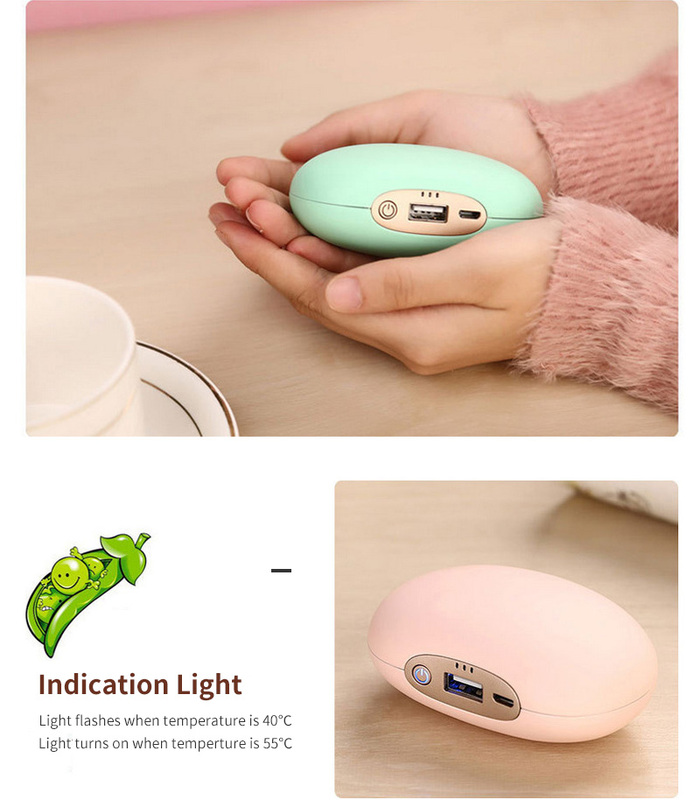 Quick hand warmer & Power bank 2-in-1. 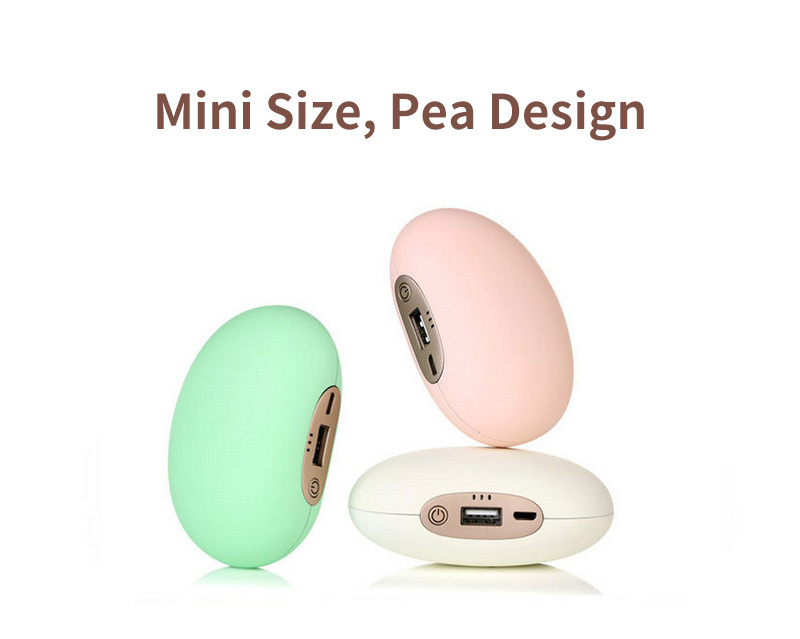 Made of high-tech aircraft-grade aluminum and ABS, eco-friendly polymer battery, keep it safe when constantly heated up;Double side Heats up quickly and continue to creat warm about 6-7 hours when it is fully charged. 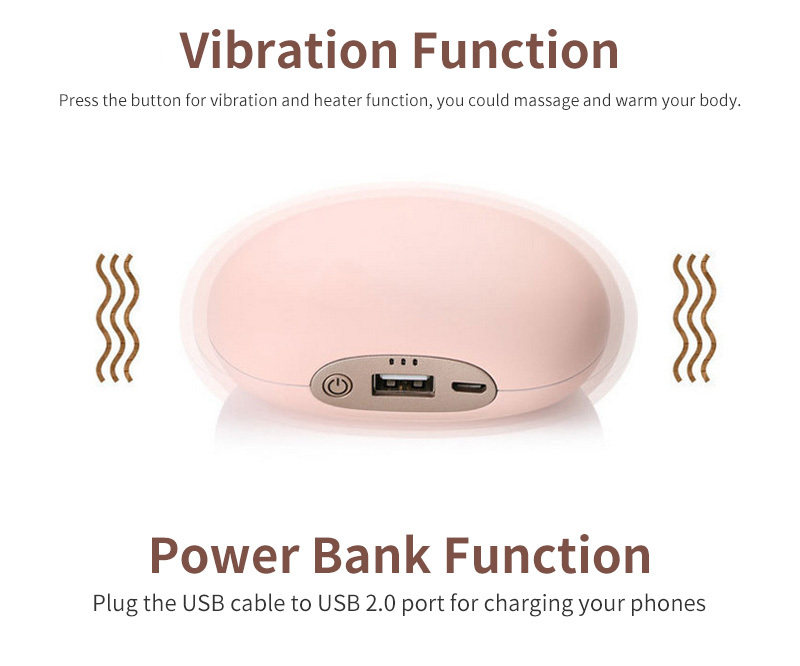 Vibrating while constantly heating, you could massage your body like tummy, hands or face. 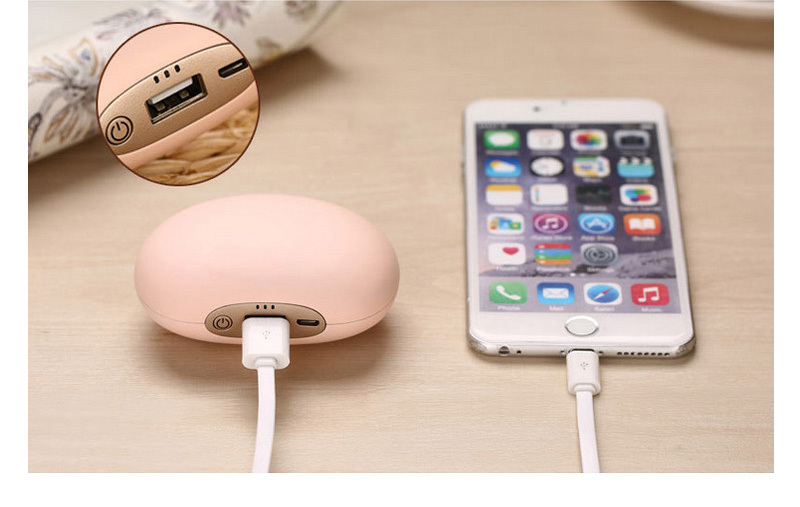 USB 2.0 port for charging the heater, Micro USB port acted as a power bank to charge your phones. 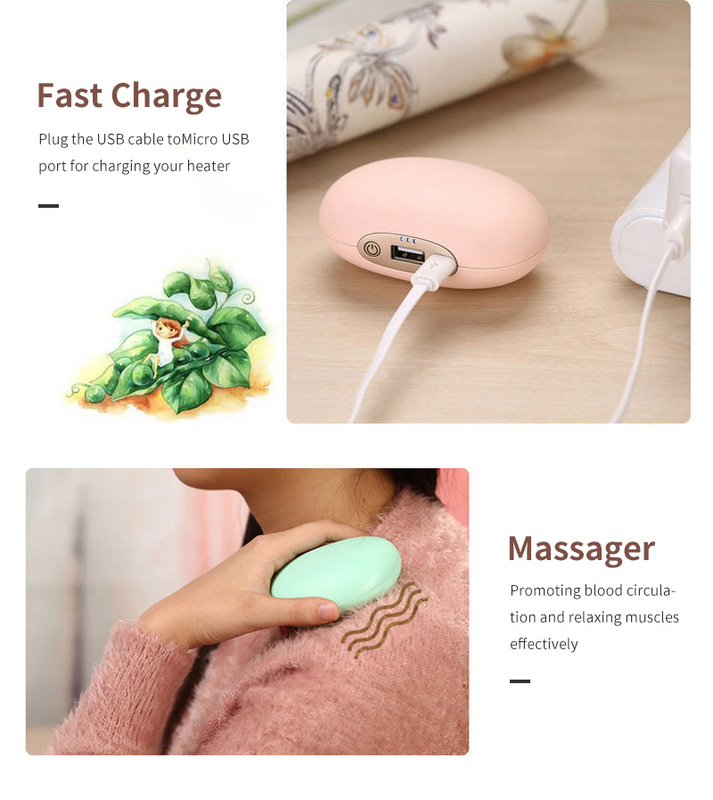 It's not only a little handwarmer but also a emergency backup battery.